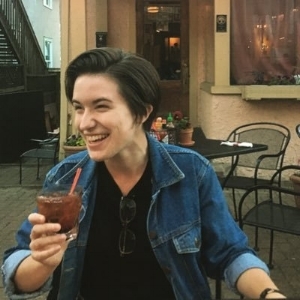 Caitlin Stout is an unapologetically gay Christian, doing her best to navigate faith and friendship while attending a non-affirming evangelical university. She likes to talk about sociological theory, sexuality, liturgy, and breakfast food (oftentimes all in the same conversation). She is also a barista, glitter apologist, and aspiring seminarian with a heart for those who are still in the closet. This is where she writes about the joy, pain, anger, and beauty of being #FaithfullyLGBT.